If I was deserted on an island and I could have one snack to eat for the rest of my life, it would be chips and salsa (and queso too if I can!). I just really love salsa and have a few restaurant favorites in which I can eat the whole basket of chips and lick that salsa bowl clean- hey I’m just being honest! Some of those favorites are from On The Border, Don Pablo's, Los Amigos and Chili's. 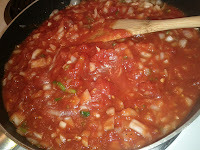 I like a smoother consistency more than chunky but you can control that via the food processor to your likings. This recipe made enough to last about two weeks in the fridge tightly sealed. 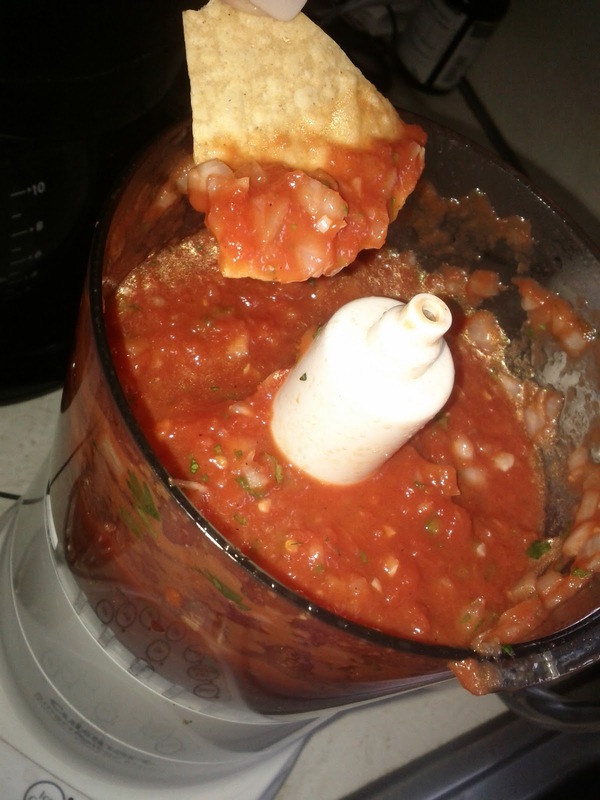 I also used this salsa to top on chicken and quesadillas and its perfect to have handy when it's game time on Sunday's.. The dishes are limitless to what else you can add this with! So get to the kitchen and start salsa'ing! 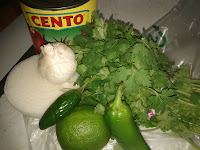 Turn off the stove and pour mixture into the food processor, add your cilantro and lime juice, and pulse a few times until you get the consistency you like! 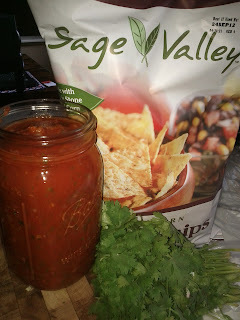 Taste test and add S&P, garlic, cilantro, etc as needed for your taste buds then pour into your mason jar, close and put into your fridge for a bit while you arrange chips in a bowl and salivate waiting for those beautiful ingredients to marry together. I’d suggest you let it sit for at least an hour, but preferably over night. The longer the better, as the flavors get a chance to dance together over time.